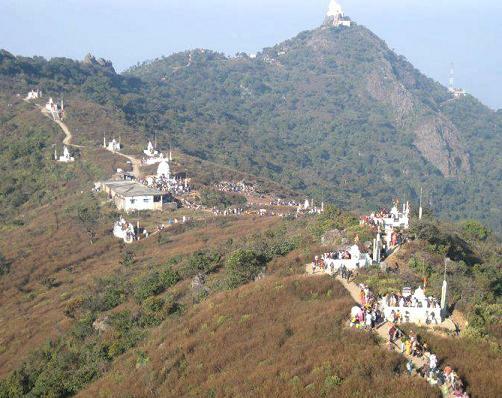 May 5, 2013, Ranchi: Parasnath Hill, one of the most sacred places for the Jains in the world, is in for a major revamp. The Centre, which has recently selected Jharkhand's Jain temple as a mega tourist destination, decided to give Rs 25 crore to the state government to develop the site to make it more tourist-friendly and attract more and more pilgrims. In a meeting with the Union tourism secretary in Delhi, the state tourism department had made a strong pitch for getting the site approved as a mega tourist destination. The Jain pilgrimage in Jharkhand badly needed funds for infrastructure development. With the funds, the tourism department will develop toilets for "doliwalas" (people who ferry pilgrims in a human cart), a theme park, parking space, more shelters for tourists, an 18-km-long "parikarma path" and better sanitary facilities, among others. Despite its infrastructure being in bad shape, thousands of Jain pilgrims visit Parasnath Hill where 20 of the 24 Tirthankaras attained "nirvana" by doing meditation at this location. Siddhartha Tripathy, director, tourism, said the first priority of the government was to develop "parikarma path". The route atop the hill is in extremely poor shape. Many pilgrims fall down into the gorges and get injured. The road which is used by the pilgrims to take a holy round of the temple atop the hill is not entirely concretized. Other infrastructural handicaps also plague the site. There is no place for "doliwalas". The department will also construct toilets for them. Comments: We are indeed thankful to the Government of Jharkhand for the donation of Rs. 25 Crore for the maintenance of most sacred and virtuous place of Jain community. But, the mega question is, whether the Jain community needs this kind of donation from the State Government. Jharkhand, as everyone knows is an extremely poor State. The local administration is unable to provide for the very basic needs of the common person in the whole of the area. In these circumstances, can we not just thank the State Government for their gesture and return the donation with a note that, we are capable of funding these projects ourselves. We have ample resources stored in temple bank accounts. Besides, our saints are capable of generating any amount required for this purpose. We also request to all the temple management trustees to jointly workout the details and take this as community project. At best, the Government may be requested to enhance security arrangements for the visitors. (भारत के वर्ष 1885 के इम्पिरिअल गज़ट के पेज क्र. 112 पर तत्कालीन भारत सरकार के डब्लू. डव्लू. हंटर ने दमोह शीर्षक के अंतर्गत साफ़-2 लिखा है कि "कुण्डलपुर में मार्च में होली के बाद जैन समुदाय का मेल लगता है, इसमें आस-पास के जैन इकठ्ठा होते है और इसमें जैनों के अपने मुक़दमे सेटल किये जाते है और इससे प्राप्त जुर्माने से मंदिर का रख-रखाव किया जाता है") ASI क्यों कुण्डलपुर के जैन मंदिरों को जबरन राष्ट्रीय स्मारक बताकर हासिल करना चाहती है? May 12, 2013, Palakkad, A 15th century Jain temple, which has been in a dilapidated condition for past several years, is all set for reopening after its renovation. As a prelude to its re-dedication, a three-day idol installation ceremony was conducted at the Chandraprabha Digambar temple at nearby Jainimedu which attracted devotees from across Kerala and neighbouring Karnataka and Tamil Nadu. The rituals were led by Sri Sri Bhuvanakeerthi Bhattakara Swamiji, the head of Kanakagiri Mutt. Gulab Kothari, eminent writer and Chairman and Chief Editor of Rajasthan Patrika, and author and Managing Director of Mathrubhumi M. P. Veerendrakumar were among those present on the occasion. The temple, dedicated to Tirthankar Chandraprabha, the eighth 'Tirthankara', is one of the few surviving structures in Kerala featuring typical Jain architecture. As part of the renovation, the old idol has been replaced with a new one. Members of Chanraprabha Digambara Basti Devwaswom Trust, which manages the shrine, said the temple walls, the 'mandapa' and the entrance have also been redone to restore it to its past glory without affecting tradition and sanctity. According to local legend, the Jainimedu temple was built centuries ago by a family of diamond merchants from Karnataka. After one of its male members died during a routine business visit to the area, his brother built the temple in memory of him as per a sage's advice. In course of time, their family settled around the shrine. Following them, hundreds of Jains, most of them diamond merchants from across the country, came and settled here. With the presence of several diamond merchants, the place came to be known as 'manikyapattanam' or 'muthupattanam'. Bedsides the idol of Chandraprabha Theerthankara, the shrine, made of granite blocks, also houses the images of other tirthankaras. 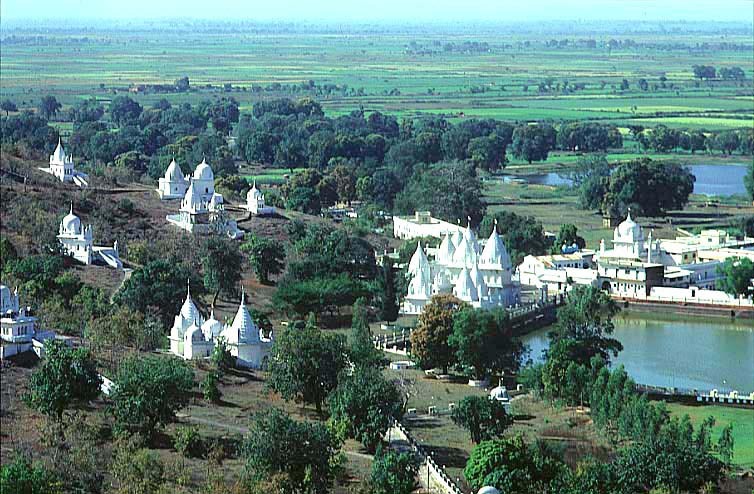 Not much known earlier, recent visits and studies have shown that on the bank of river Betwa in Madhya Pra, at a distance of 123 Kms, is spread on beautiful hillside this Digambar Jain tirth with 40 magnificent jinalayas with 29 central pillars and 500 carved "Shila-lekh" which portray an idea of divine place. It is situated on the Delhi-Mumbai rail road about 32 kms. by road from Lalitpur. It is situated at western end of the Lalitpur range of hills. It carries great antiquarian, epigraphical and archaeological importance. This town has figured prominently in the history. Traces and remains of the Guptas, The Gurjara - Pratiharas, Gonds, Mughals, Bundelas, Marathas are implanted in the surrounding of the town. Principal attraction of the town are Darticcotar temple, a fine Vishnu temple of Gupta period and a group of old Jain temples. 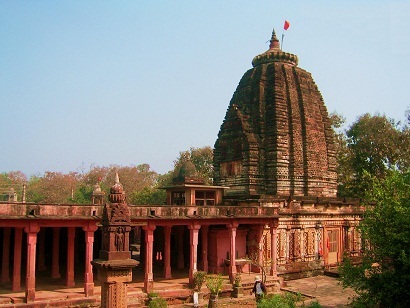 The exquisite execution and beautifully carved panels of the temple have called forth the remark that "few monuments can show such high level of workmanship, combined with ripeness and rich refinement in its sculptural effect as the Gupta temple at Deogarh". Perhaps of somewhat later origin but no less rich in artistic, archaeological and epigraphical value is a group of Jain temples situated inside the fort of Karnali on the hill overlooking the river Betwa. Some 31 of these Jain temples are still standing. The heavily ornamented ponds depict scenes and episodes from Jain mythology, myths and moments in lives of Jain Tirthankars. There are traces of outstanding craftsmanship, characteristic of Jain architecture and sculpture as the Manastambha (votive pillar), Ayagapatta (votive tablet), Pratima-sarvato-bhadrika (Jain image visible from all sides) and Sahastrakoot (pillars carved with thousand Jain images). The temple of Jain Tirthankar Shantinath is of unique importance of this place. The shape of this idol, in this temple is based on religious and ethical background. The Barah temple reminds one o the Chandela kings. The land is full of various type of trees of botanical and natural values. The thick forest on the hill is a haunt of wild animals. Red stone and firewood are the two objects of commercial importance available in this area. For transport by air, nearest Airport is Gwalior at a distance of 235 Kms from Lalitpur district. By train Lalitpur at 33 Kms. is the Nearest Railway Station on Delhi-Bombay railway line. By road It is well connected with regular Buses from Lalitpur Bus Station. A Jain dharmshala near-by the temple is available for the pilgrims to stay. May 17, 2013, Ahmedabad: The Jain community organised a programme at Dasha Porwad Society in Paldi to mark the 110th birthday of Sadhvi Hem Shreeji Maharaj. She entered her 111th year on May 16, 2013. Sadhvi Hemji took diksha some 83 years back when she was 28-years-old. She hailed from a very well-to-do family from Patasha Pol in the walled city. She got married at the age of 21. After living for seven years with her in-laws, she one day heard a discourse by Ramchandr Sureshwaji Maharaj Sahib and decided to take the path of renunciation. She expressed her desire to her in-laws and parents. They all agreed. She took the training under Ramchandr ji Mahraj. She gave up all the luxuries of life and took to spirituality. She had studied till class VI in an English medium school. In her words, "I never had a fascination about my physical body, once I took to spirituality, I found the strength to live the life of a Sadhvi. The world of spirituality is very deep and inspiring. The more you get immersed into it, the more you are inspired and worldly pleasures just loose their sheen." At her age, she is able to talk, listen and has a great memory. She used to travel around without the help of anyone till she was 70. Upadhayay Gyan Sagarji Maharah Saheb, of Digamber Acharya Shri Shanti Sagarji Mahraj tradition will be crowned with Acharya pad on 27th May, 2013 at Trilok Teerth, Shri Digamber Jain Atishay Kshetra, Badagaon, District Bagpat, Uttar Pradesh. 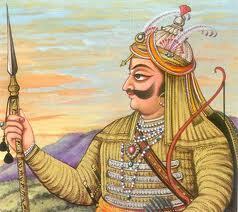 This position was vacant after the death of fifth Acharya Shri Vidhya Bhushanji. The event will be attended by scores of followers from Digamber Sect. The programme will also include foundation laying ceremony of a temple. Panchkalyanak programmes of the new temple will take place from 29th May to 2nd June. Upadhayay Gyan Sagarji is from Chhani tradition. The earlier acharya's of this tradition were Acharya Surya Sagarji, Acharya Vijay Sagarji, Acharya Vimal Sagarji, Acharya Sumati Sagarji, Acharya Vidhya Bhushan Sanmati Sagarji. 17 May 2013, TT the well known textile and garments company owned by Rikhab C Jain, has added another feather to its cap by featuring in the elite list of India's Top 100 SMEs 2012-13. TT is one of the 100 awardees out of a total of 42,623 nominations that India SME Forum received from all over India. India SME Forum instituted the ground breaking India SME 100 Awards, presented by Bank of India. The awards were supported by Ministry of the Small and Medium Enterprises (MSME) Of India. The prestigious award inspires willing, able, potential and globally competitive SMEs to be world-class enterprises, and, develops a culture of entrepreneurial spirit and a robust SME space in India. Top 100 companies were cited recommendations on the basis of both financial and non-financial indicators like growth, financial strength, innovation, international outlook, corporate governance and people capital. Sanjay Jain, Managing Director, TT Ltd, received this honour for having consistently delivered on their promise to clients. Rikhab C Jain, Chairman and Founder of TT Group, has made TT brand a synonym with emotion, relation, trust, quality and fashion. TT was also awarded ‘Excellence Award in 2010’ by Indian Economic Service. It was also given ‘Master Brand Status Award’ by CMO Asia (affiliated to CMO Council, USA) in 2012.TT is listed on both NSE and BSE. It is a vertically integrated textiles player with an export market spanning 62 countries across five continents. It has factories and offices spread all across India. It is present in the entire textile chain. 14 May 2013, Mumbai: The Jains of Venus group have made a mark for themselves in the music and film production business. Now Ganesh Jain has added another feather to his cap. He has been appointed as chairman of The Indian Music Industry for a two year period from 2013 to 2015. The appointment took place on 9 May. IMI members includes major record companies like Saregama India (HMV), Aditya Music, Universal Music (India), Tips, Venus, Sony BMG Music Entertainment (India), Magnasound, Times Music and several other prominent national and regional labels that represent over 75 per cent of the output in legitimate recordings and a wide range of musical repertoire. Ganesh Jain says, "his goal will be to push through issues relating to the latest copyright law amendment". May 3, 2013, UAE resident Vandana Jain’s first cook book, "Vandana’s Veggie Creations", is the winner of the Best Indian Cuisine Cook Book of the World by Gourmand World Cook Book Awards 2013. Gourmand International Awards took place during the Paris Cook Book Fair, at the prestigious Le Carrousel du Louvre in Paris, France, earlier this year. In her words, “It was dream come true for me. This book is something where I’ve nurtured my passion and all my hard work and creativity has borne fruit. It was truly mesmerising to be part of such a grand ceremony in Paris. I received the title for the first Indian in the world and for my very first cookbook. It was an unforgettable moment”. 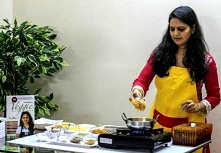 Jain has been conducting cooking classes for the last 14 years in Dubai, teaching women from all walks of life the craft of preparing Indian, Chinese, Japanese, Mexican and Italian fare but all vegetarian and loves to cook for friends and family. Though a science post graduate she turned to her passion when she moved to Tanzania after marriage. Like most Indian women, she learnt her skills from her mother from an early age and not through any professional courses. Vandana says, my first book has given me a stepping stone. I want to do a book on different cuisines in the UAE. With God’s grace I look forward to opening a cooking school where people can learn cooking as a passion, not as a profession. Prof. Sohan Raj Tater, former Vice-Chancellor, Singhania University and a devoted writer of books on Jainism was awarded "Samaj Ratna" at a function held at Sirohi on the 16th May, 2013, for his rich contribution to Jain samaj. Earlier, he had also been honoured with 'Yoga Padma Bhushan' award. Ahimsa Foundation conveys its congratulations to him on the occasion. Tata Mutual Fund appointed Ritesh Jain as the AMC’s Chief Investment Officer with effect from May 27, 2013. Ritesh has completed his Masters in Business Economics from Indore University and has also done a Diploma in Capital Markets from ICFAI. Prior to joining Tata Mutual fund, he was the head of Fixed Income at Kotak AMC, IDBI Bank and Corporation Bank. In a thought provoking discourse hosted by Ahimsa Foundation on 2nd June, 2013 at Aacharya Shri Sushil Muni Convention Theatre, New Delhi -110060, Maha Sadhvi Vaibhavshriji from Swetamber Sthanakwasi Sect in her discourse dealt with common issues which shape our life favourably or otherwise. She said, quality is more important than span of life. Happiness and contentment should be inwardly felt. She explained, how one can make any one comfortable with few good words and vice versa. Acknowledgement of gratitude is the biggest virtue which many of us fail to practice. Sometimes, we become needlessly, selfishly and unendingly demanding and this creates unprovoked issues. All this lead to miseries even in good atmosphere. We even loose the best of people by our presumptive thinking. Various examples and quotations made the forty five minutes lecture extremely interesting for more than hundred and fifty listeners. The discourse was started with prayers by Kshullika Pratibha Pawniji. The programme was also addressed by Mr. Virendra Mehta, Trustee of Ahimsa Foundation and Chhoti Dadawari Temple Trust, New Delhi, Mr. Chakresh Jain on behalf of Jain Mahasabha, Mr. Subhash Oswal on behalf of All India SS Jain Conference, Mrs. Pratibha Kochar from Jodhpur, the editor of Charam Mangal Magazine, Jain Sangh Leaders from Mujaffarnagar and representatives of upcoming Virat Shanti Nilay, Pali, Rajasthan, Mr. Surender Jain from Vishwa Ahimsa Sangh, New Delhi. Mr. Anil Kumar Jain, President, Ahimsa Foundation initiated the discourse programme with is introductory welcome. He also presented the life sketch of Maha Sadhvi Vaibhavshriji and her contributions to the filed of Jain literature. May, 26, 2013 - In a meeting held at the residence of Dr. D. C. Jain, Neurosurgeon, it was decided to hold a two day seminar on 5th & 6th of October at New Delhi. The central theme of the seminar will be bringing together other organisations working for the welfare of the animals and take the message of compassion towards animals to masses around the world. The efforts will be made to rope in hospitals, educational institutions and the Government into the two days programme. 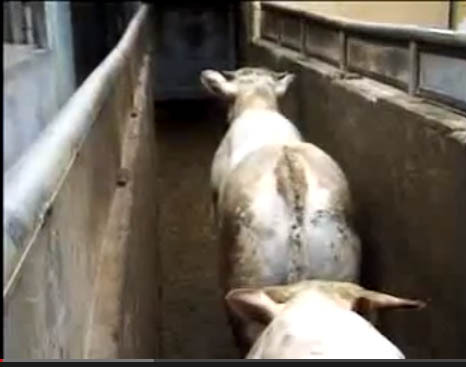 Members were generally of the opinion that, to send the message of serenity towards animals the society should use social media such as twitter, facebook, blogging etc. Dr. D. C. Jain explained the affects of animal base food on human health, environment and social behavior. 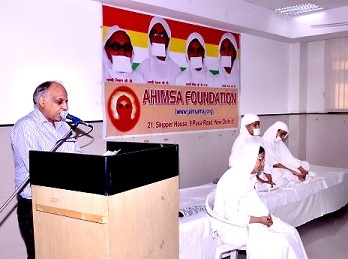 Dr. D. C. Jain also suggested that, the society should join in the proposed feature film project of Ahimsa Foundation. Ahimsa Foundation is presently working on a feature film project to take the message of compassion towards all living beings based on fundamental principals of Jain religion. Dr. D. C. Jain offered the first contribution towards the film project. Mr. Pavan Kumar Jain also offered to contribute for the feature film project. Meeting was attended in large number by the animal welfare activist from Delhi and outside. At the request of all the members present, Mr. Anil Kumar Jain, Editor, Ahimsa Times presided the meeting. He in his address welcomed the members. He also expressed on behalf of all the members deep condolences on the death of Mr. Nirmal Jain. 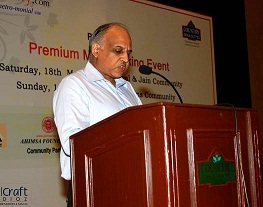 Mr. Nirmal Jain was actively associated with the society for very long time. Many other members also offered rich tributes to late Mr. Nirmal Jain for his dedicated services to the society. Dr. H. S. Jain, Honorary Secretary General requested to be relieved from his position due to family issues but all other members requested him to continue in view of his valuable experience. To facilitate marriage tie-ups in Aggarwal and Jain community members, Ahimsa Foundation and Times of India Group jointly organised their first prospective bride and groom meet on 18th May, 2013 at the convention hall of Hotel Country Inn, Sahibabad, Delhi NCR (It it interesting to note that, Hotel Country Inn is the ONLY VEGETARIAN five star hotel property in the whole of the world). The event received over 300 registrations from prospective bride and grooms from all over the country. In total, more than 700 family members attended the meet. The event was also a good business venue for jewellers, astrologers and event management companies etc. as they were all present at the venue with their high-tech gadgetry. Hotel Country Inn was also one of the sponsorer of this programme. Anil Jain, Editor Ahimsa Times, addressing the participants said, "Ahimsa Foundation and Times Group have come together to provide you the platform which will help you to look beyond their reach and vision. It is our earnest endeavor to give all aspiring members participating in this programme a life time opportunity, which we hope will bring you success all through your life and your families a new affectionate member...........................A marriage should make you complete, happy & perfect personality. Short term expectations, lead you no where. Rather in most of the cases, these are the grounds of relationship failure. If a relationship is healthy & smooth you can achieve many thing you wish". In view of the tremendous response shown by the participants, another similar programme is being planned shortly. The details will be made available through repeated advertisements in the Times of India publications and on the web portal of Ahimsa Foundation, "www.jainsamaj.org". May 27, 2013, Bangalore: With little more than a week after he was inducted as a minister, sports and fisheries minister Abhay Chandra Jain has requested for change in the ministerial responsibility. He informed, Chief Minister Siddaramaiah, that he belongs to the Jain religion and hence the fisheries portfolio should be taken back from him or changed. He informed CM, his religion follows "path of ahimsa (non-violence)" so he may not perform well in the fisheries portfolio. In deference to his community people's sentiments, the minister said to have decided to relinquish fisheries responsibility. However, Siddaramaiah outright rejected the proposal for change and asked Jain to continue in the existing set up. Sources close to CM said that Jain was told that portfolios were allocated based on merits not on religious lines. Later Jain said he would continue in the portfolios as CM had rejected his request. "The CM told me that portfolio was allocated as I come from the coastal belt and expressed confidence in my ability to do well in the responsibilities given. 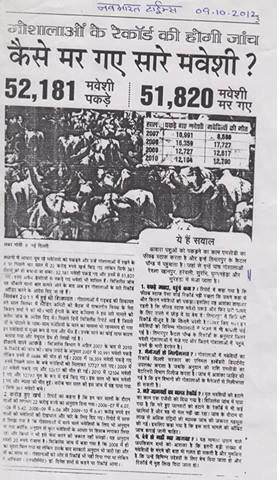 18 April 2013, जयपुर के निकट दुदू में बूचड़खाना (राजस्थान) का निर्माण हो रहा था. स्थानीय जनता इस बूचड़ खाने को रोकने का प्रयत्न कर रही थी। १५ महीने तक संघर्ष करने, न्यायालयों के स्थगन आदेश के बावजूद कत्लखाने का निर्माण जारी रहा. ६ अप्रैल २०१३ को खरतर गच्छ संघ, जयपुर के संघमंत्री ज्योति कोठारी को इस विषय में जानकारी मिलि. उन्होंने तत्काल स्थानीय लोगों से संपर्क किय। इसी बीच प. पू. उपाध्याय मणिप्रभ सागर जी के सुशिष्य जीवदया प्रेमी प. पू मैत्रिप्रभ सागर जी का मालपुरा दादाबाड़ी में पदार्पण हुआ. संघ मंत्री एवं स्थानीय संघर्ष समिति से विचार विमर्श के बाद उन्होंने १७ अप्रैल से दुदू जा कर अनशन करने का निर्णय लिया एवं १५ तारीख को दुदू पहुच गये. उन्होंने कत्लखाना बंद नहीं होने पर अनशन करने की सुचना स्थानीय प्रशासन एवं मुख्य मंत्री को दे दि. जीवदया प्रेमी प. पू मैत्रिप्रभ सागर जी महाराज के अनशन कि सुचना से प्रशासन सक्रीय हुआ एवं मुनिश्री से संपर्क स्थापित किया. इसके बाद १६ अप्रैल को मैत्रिप्रभ सागर जी महाराज, संघर्ष समिति एवं स्थानीय प्रशासन (उपखंड अधिकारी) के बीच समझौता हुआ एवं कत्लखाने को बंद करने का निर्णय लिया गया। इस समझौते के बाद मुनिश्री ने अनशन निरस्त करने का निर्णय लिया. Source: Jyoti Kothari, Vardhaman Gems. May 27, 2013, California. Claremont Lincoln University announced the appointment of Dr. Brianne Donaldson as the first Professor and Director of the Center for Jain Studies at CLU. Dr. Donaldson, scholar of the spiritual traditions of India, process philosopher, and activist, is joining the faculty at CLU. She is an alumnus of International School for Jain Studies (ISJS) and during the last two years she has been the prime mover in establishing programs in Jain Studies at CLU. "Helping Hands are Better than Praying Lips, Create Awareness. It might help someone. " 1. If you see any child begging in public then contact - "RED SOCIETY", Mobile 9940217816. They help in child educaiton. 3. For free education and hostel facilities for handicapped children contact at - 9842062501 and 9894067506. 5. If you find lost Ration Card, Passport, Bank Passbook etc. please put it in any mail box. Indian Post and Telegraph Department will send it to the right full owner. 7. Imitinef Mercilet' is a medicine which is good for the treatement of blood cancer. This is distributed to the patients free of cost by Adyar Cancer Institute, East Canal Bank Road, Gandhi Nagar, Adyar Chennai -600020 Landmark: Near Michael School 044-24910754 in Chennai. Who Was Paythagoras? - Pythagoras was a Greek philosopher as well as a mathematician, who born in 570 B.C.E. on the island of Samos. He was founder of Pythagoreanism, a religious movement, which has many similarities with Jainism. The similarity suggests that Pythagoras was influenced by Jainism, as his period resembles with the period of Vardhaman Mahaveer, the great philosopher of India, and as there was connection between Indians and Greeks from ancient times. Similarities between Pythagoreanism and Jainism - In his PhD theses submitted to Graduate faculty of Texas Tech university, Basnagoda Rahula says, "The main characteristics of Pythagoras’s religious teachings consisted of transmigration of soul, respectful treatment to animals and plants, purification of the soul through asceticism, absence of any absolute divinity and social organization as a community for religious practices, all of which closely resembles with the teachings of Jainism"
The similarities between Pythagoreanism and Jainism are surprising - Pythagoreans believed in Soul and the wheel of birth. They also believed in release from the wheel of birth. This is a central concept of Jainism which was introduced by ancients Jain philosophers. The striking thing is that Pythagoras was a vegetarian and being vegetarian was a must thing for the Pythagoreans. 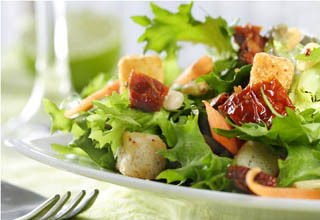 It is remarkable that being vegetarian is a must thing for Jain ascetics and lay followers. Like Jains, the Pythagoreans respected all types of living beings. Another remarkable thing is that the Pythagoras gave equal opportunity of learning to women. This thing also matches with Jain thoughts. Simple white linen clothing was the dress code for the followers of Pythagoras. Again a great similarity between Pythagoreans and Jain ascetics. In 2nd century B.C.E. the followers of Pythagoreans highlighted that the soul and body are different things and ascetic life is must for freedom of soul from material things. They abandoned bodily pleasures. All these are key concepts in Jainism from ancient era. It is a striking thing that Pythagoras remembered his previous births. It is again a great similarity with Jain concept or births and rebirths. Encyclopedia Of Indian Philosophies - Jain Philosophy (Part II) by Karl H. Potter and Piotr Balcerowicz, Delhi, 2013, Pp. Vi, 683, biblo, gloss, endnotes, index, ISBN 978-81-208-3615-0 - Encyclopedia of Indian Philosophies in 28 volumes is an endevour by an international team of scholars, led by Prof. Karl Potter (General Editor), to present the contents of Indian philosophical texts to a wider public than has hitherto been possible. It attempts to provide a definitive summary of current knowledge about each of the system of classical Indian philosophy. Each volumes consists of an extended analytical essay together with summaries of every extent work of the system, a Bibliography, and a Glossary, Various volumes include treatments of Nyaya Vaisesika Samkhya, Yoga Purvamimamsa, various Vedanta system and certain philoso- phically important sects of Saivism and Vaisnavism as well as Jain and Buddhist philosophy. So far 14 volumes have been published in this series. The Saman Suttam is a compilation of 756 verses from Jainism’s four sects that was brought out in 1974 after spiritual leader Acharya Vinoba Bhave tried to bring the sects together. More than 25 Jain and philosophy scholars from across the country have invested in the project to bring out three volumes of the translated versions (in English, Hindi and Sanskrit) of the agamas (verses) from the fundamental book on the religion - Saman Suttam. Scholars have arrived from cities such as Jaipur, Delhi and Puducherry to put the finishing touches on the first volume in a ten-day workshop at the KJ Somaiya Centre for Studies in Jainism in Ghatkopar. According to, Professor Dayanand Bhargav, from Jaipur who has a PhD in Jain ethics, “While the Saman Suttam has been translated before, this is the first time we will have Shabdartham (translated meaning of every word), and more importantly, commentaries from acharyas (religious scholars). The commentary will reflect the true meaning and analysis of the verses. Some of the scholars working on the book include Sagarmal Jain from the Prachya Vidyapeeth in Madhya Pradesh; Shriyanth Kumar, a philosophy expert from Jaipur; and Shantha Kumari, a professor from the Pondicherry University. Professors Geeta Mehta and Kokila Shah from the Somaiya institute are editing the copies. Tattvajnana Dvatrimshika - By Acarya Siddhasena Divakara, English translation by Manish Modi, Pandit Nathuram Premi Research Volume 34, 2013 24 x 18 cm 16 pages, ISBN 978-81-88769-95-7 Paperback Rs. 20. 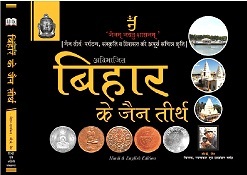 Jain Pilgrimage of Undivided Bihar: Patna-based artist and photographer, B K Jain, has come out with a multicolour coffee table book, 'Jain Pilgrimage of Undivided Bihar', to make people aware of the historic and religious importance of different Jain temples, shrines, chaitalaya and libraries located in different parts of Bihar and Jharkhand.